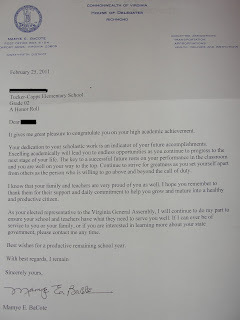 This letter came home in Handsome's homework folder today. 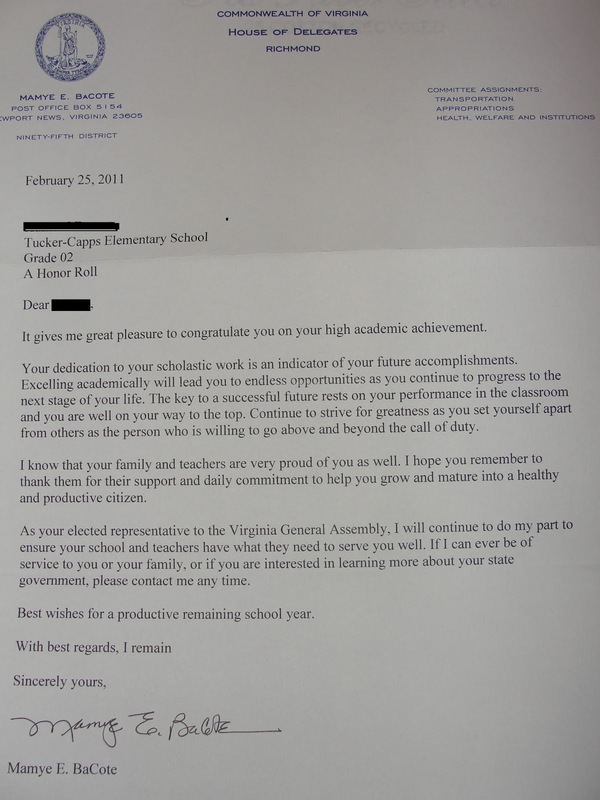 He really enjoyed receiving it and it motivated him to finish a school report, on his own, and without hassle. Can he get one every day? Seriously. I think this is a fabulous idea and wonder what other States are committed to education at this level. Anyone else get anything like this sent to your child?